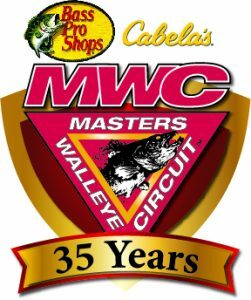 Ponca City, Okla.—February 11, 2019 — Fast-action sauger and walleye fishing, awaits MWC anglers on the Illinois River as the Bass Pro Shops and Cabela’s Masters Walleye Circuit celebrates thirty-five years and kicks off its season March 22-23 at the Spring Valley Boat Club in Spring Valley, IL. Each MWC event has a lucrative payout which is based on the number of teams entered into that event, and is awarded to 20% of the field, providing more inspiration to sign up and join the fun. In addition, to a hefty check, the first-place team also earns a $1,000 Bass Pro Shops/Cabela’s National Team Championship (NTC) prize package including paid entry, travel stipend, team jerseys and plaques. Additionally, the big-fish pot, option pot and sponsor bonuses from Ranger Cup, Lowrance, Okuma, AirWave and T-H Marine Atlas Awards add thousands more for distribution among the field. Teams earning points in at least three qualifiers each season compete for coveted berths in a World Walleye Championship. Qualified teams from 2019 will fish the 2020 World Walleye Championship, set for October 2020 on the mighty Mississippi River in the Quad Cities. Those earning points in at least four qualifiers compete for Team of the Year honors, including a $10,000 sponsorship package and thousands more in cash and prizes to the top 10 teams in the final “best of 4” final standing each year. As a bonus benefits to all MWC anglers as well as all TWF members nationwide, Official Sponsor Lowe Equipment Attachments offers a 20 percent discount off the MSRP on all its auger, trenching and grapple products available through Midwest Attachments, LLC. For information on that program, visit masterswalleyecircuit.com/tournaments/contingencies. And finally, this event will serve as one of our “Last Chance” qualifying events for the 2019 Bass Pro Shops/Cabela’s NTC at Sault Ste Marie, MI. in May 30-June 1, 2019. The top 5 teams at Spring Valley not already qualified can earn a spot in the 2019 NTC! Daily live weigh-ins at the Spring Valley Boats Club are free and open to the public beginning at 4:00pm both days March 22, 23. If you can’t make it in person you can watch the weigh-ins live, online, at masterswalleyecircuit.com or on our Facebook page. For the area youth, there is something for you immediately after the day-one weigh-in on Friday, we offer a Youth & Family Fishing Clinic in conjunction with the National Professional Anglers Association (NPAA). The first 50 youth will receive a free rod-and-reel combo! Under the umbrella of The Walleye Federation (TWF), the Bass Pro Shops and Cabela’s Masters Walleye Circuit is North America’s longest-running and undisputed leader in team walleye tournaments and as an inductee into the freshwater fishing hall of fame, has set the standard for competitive walleye fishing for 35 years and is open to avid walleye anglers from all walks of life. The 2019 schedule includes eight qualifiers in six states, plus the 2020 Bass Pro Shops and Cabela’s MWC World Walleye Championship. 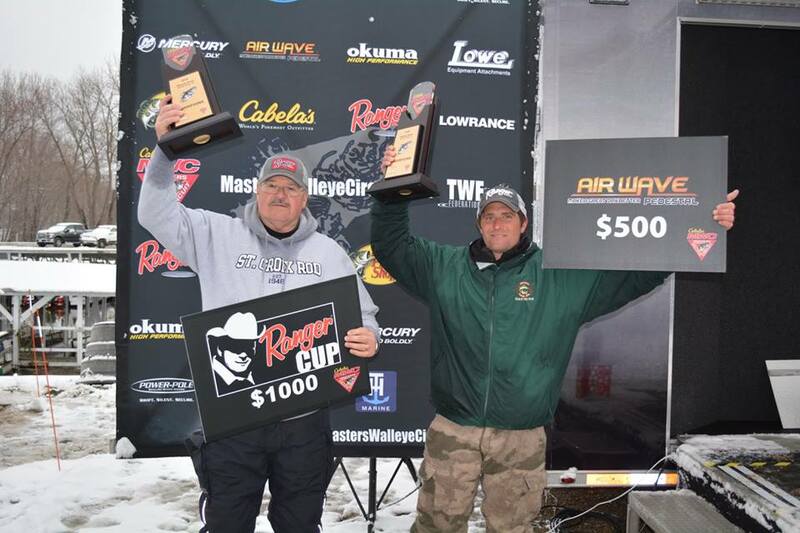 Registration is now open for all events, and the registration deadline for the Illinois River tournament is close of business Monday, March 18. Visit masterswalleyecircuit.com for full details. Bass Pro Shops & Cabela’s – The World’s Foremost Outfitters, are in their 18th season as title sponsor of the Masters Walleye Circuit. Official sponsors include: Bass Pro Shops, Cabela’s. Lowe Equipment Attachments, Lowrance Electronics, Mercury Marine, Ranger Boats and The Walleye Federation. Associate sponsors include: AirWave Pedestals, Church Tackle, MotorGuide, Okuma, Power-Pole and T-H Marine. 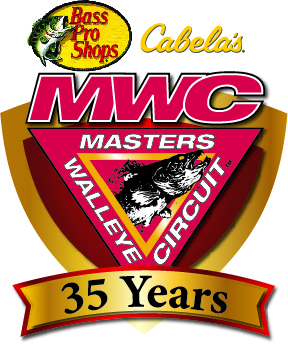 For more information, email info@masterswalleyecircuit.com, or call (580) 765-9031.